HomeCurrent affairSrilanka Political Crisis worsens. In 2015 Mahindra Rajapaksha(Srilanka people’s party) was defeated by coalition Government of Srisena and Wickremesinghe. They ran Government for 3 years but their policies were against each other. The dispute between two went on high as Srisena behind the media said Indias Raw is trying to kill him,but Ranil Wickremesinghe clarfied that we donnd keep such thoughts in mind (on the behalf of Srilanka president). It was googly of Srisena by stating that statement to threat Wickremesinghe politically, but as time gradually went on the relations between these two worsens and president Srisena sacked Wickremesinghe and Rajapaksha opposition party leader became Prime Minister of Srilanka. 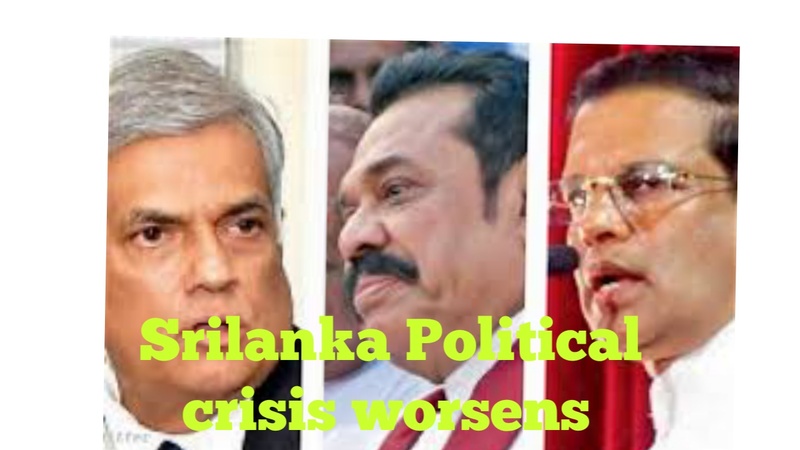 But, the transition of Government got in trouble as Ranil Wickremesinghe is highly politically and publically powerful person, his party United National Party(UNP) protested against unconstitutional political move of Srisena but still Srisena successfully made this political game. A lot of people are still against this and protesting against this move as Srilanka political crisis worsens day by day. President Srisena on November 9 to dissolve parliament after his party publicly admitted to lacking a majority in the house, hightening political crisis that began on octOcto 26. Morever, just 5 days before parliament was due to reconvene, Mr Srisena dissolved it and called snap election for January 5. Srisena also fired his PM Wickremesinghe and instead Rajapaksha in his place, and swiftly sworn in a ‘new cabinet’ in the face of strong local and international criticism. 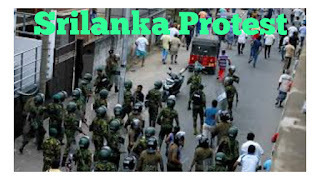 How does the Srilanka political crisis affects USA ? The crisis in the island Nations means end of Political coalition that was said to have been formed with Indian and USA encouragement in 2015. It comprised key opposition figures in an alliance against Rajapaksha, who was percived as leaning towards China at the cost of Indias concerns including over the rehabilitation of Tamils displaced by the long-running Srilanka civil war. Does China have a stake in Political Crisis of Srilanka ? China does have a stake in the current political climate change. The Chinese envoyto Srilanka was the 1st to call on Rajapaksha and congratulate him on his appointment as PM. Chinese president Xi Jinping also lost no time sending his congratulation to Rajapaksha. Srilanka on Bank of Economic Anarchy ? The Srilanka rupee fell to a record low of 178 against the US dollar. 1$=178.72 as on 22 November 2018. 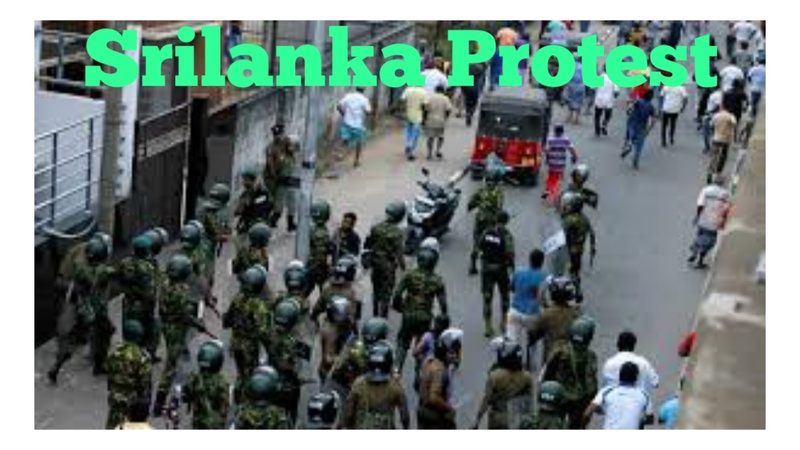 Ousted srilankan finance minister Mangala said the “Srisena-Rajapaksha coup” has led the country to an unprecedented political crisis in Srilanka. The former finance minister said the presidents actions based on personal animosities have put Srilanka ability to pay it’s debt at risk. In early January 2019, we have to repay $1 billion of Mr Rajapakshas debt taken in jaJanua 2014, the repayment of which is also under the purview of parliament said in October. Mr. Samarweera said as per article 148 of the constitution, parliament shall have full control over public finance. In the absence of legitimate Government, a grave situation has now aroused as their is no legal way to meet public expenditure and obligations of the state from 2019, he said. Srilankas Tamil National Alliance has warned that if the current state of affairs continues, there should be serious consequences that may not be in the best interest of the country. Addressing a press conference diplomats of various missions in Colombo , TNA leader R.Sampathan said the victims of possible turbulence and lawlessness could be minorities, particularly Tamils. We hope that you all have understood about Political Crisis in Srilanka in proper way. For more update click on follow button. Donald Trump rejected Indias Republic day invitation ? What is Project Dragonfly Google search engine in China ? Iberian Peninsula ancestry rivers salinization Climate Change ?